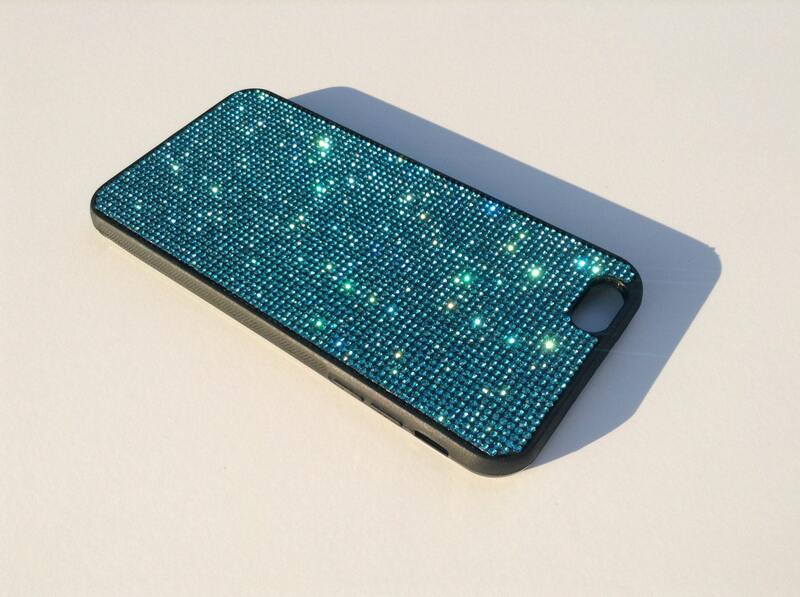 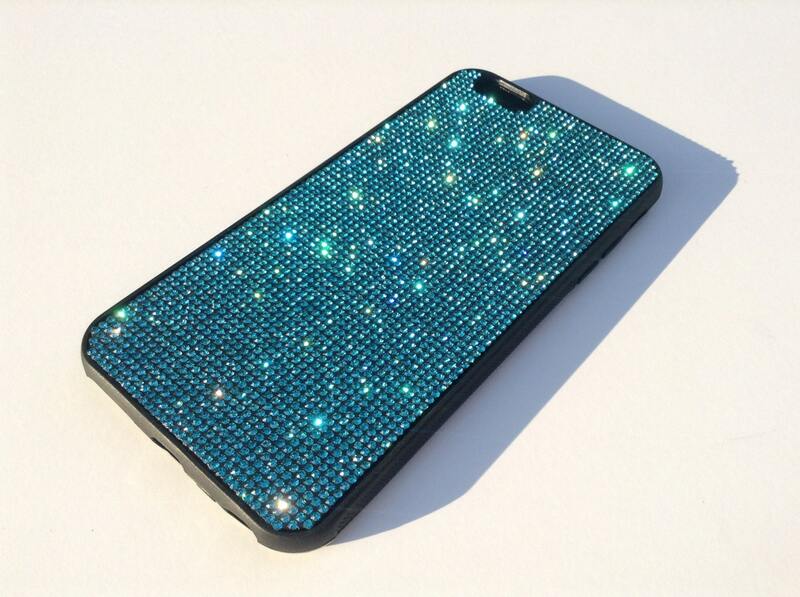 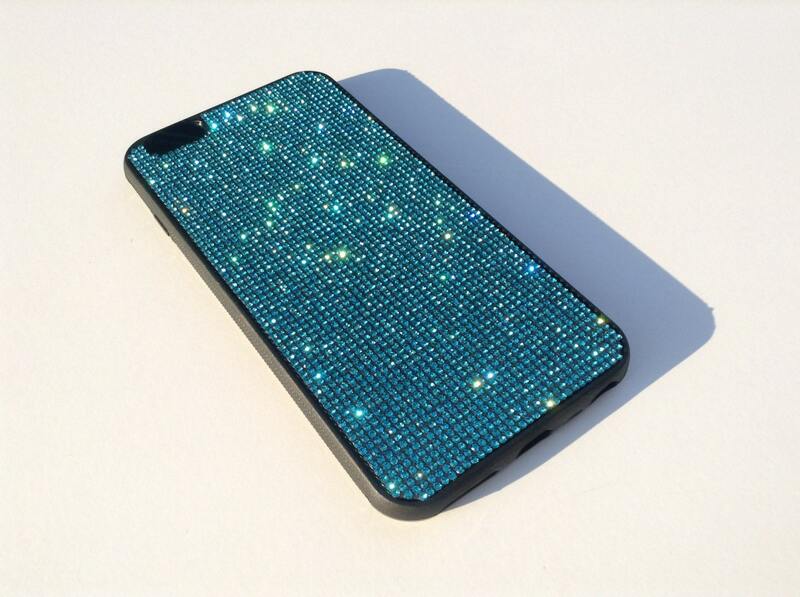 iPhone 6 / 6s Plus 5.5" Aquamarine Blue Rhinestone Crystals on Black Rubber Case. 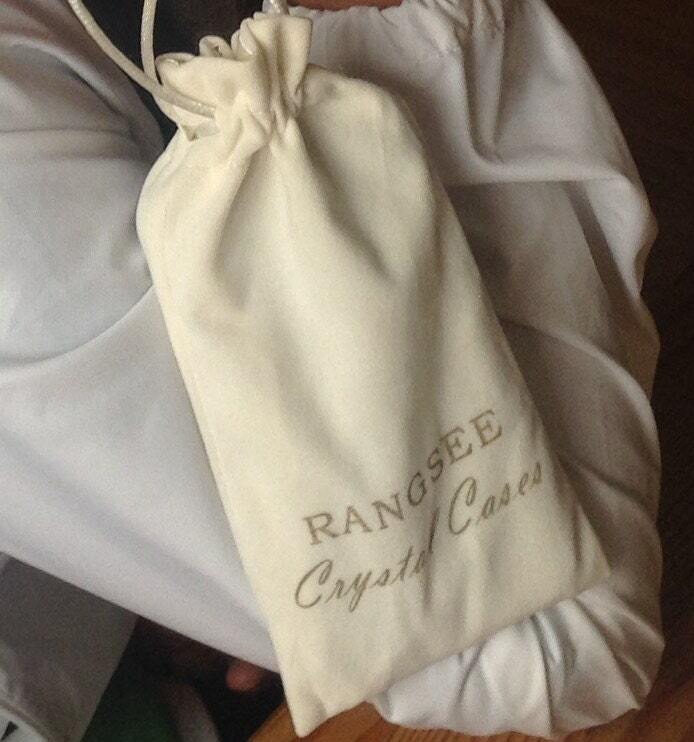 Velvet/Silk Pouch Bag Included, Genuine Rangsee Crystal Cases.The case has a ridged PU back support where the crystal are attached and has protective TPU rubber bumper around the edges. 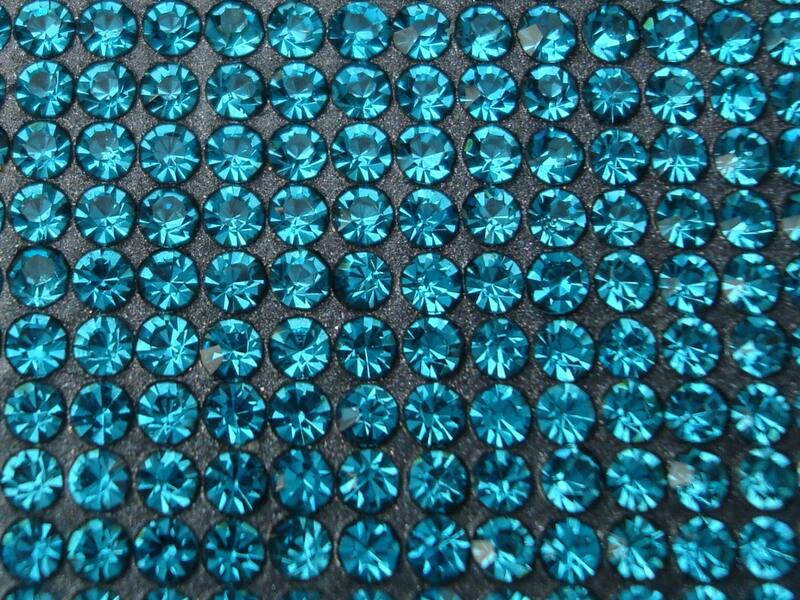 Blue Positive keywords include: loyalty, trust and integrity, tactful, reliability and responsibility, conservatism and perseverance, caring and concern, idealistic and orderly, authority, devotion and contemplation, peaceful and calm.